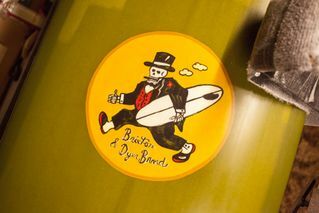 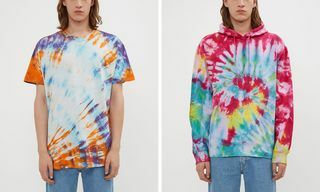 Brixton has teamed up with San Diego-based surfboard manufacturing company Dyer Brand on a limited edition swim trunk and one-of-a-kind surfboard. 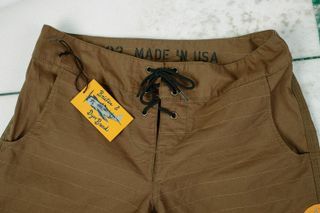 Known for their craftsmanship, Dyer surfboards are engineered to the highest quality. 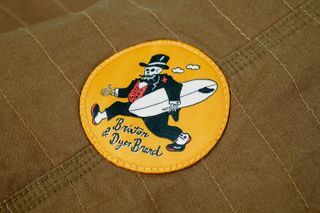 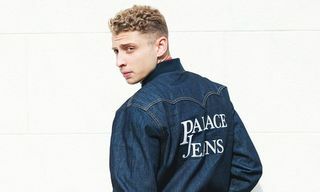 These standards are met with the Beach Bomber, a military-inspired cotton trunk featuring custom Brixton, and Dyer Brand artwork. 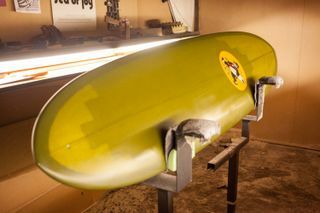 The custom surfboard, hand-shaped and glassed by Mason Dyer, features artwork by Brixton artist Mike Upton and the application of an olive half tint/half opaque resin. 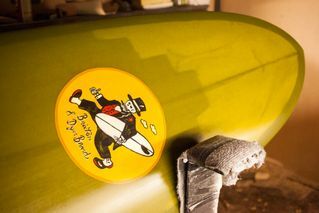 The Beach Bomber surfboard is available for purchase through eBay.